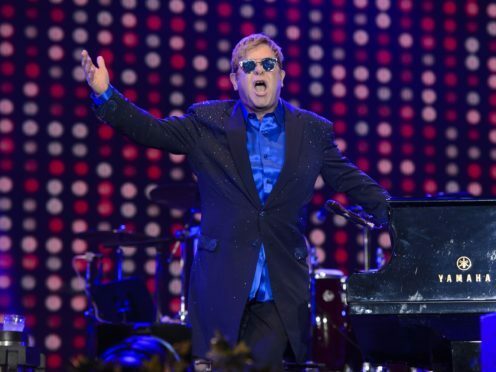 Sir Elton John is to deliver a lecture on HIV in memory of his close friend, Diana, Princess of Wales. The veteran musician, 71, will set out a vision for an Aids-free future as he calls on governments and the private sector to fulfil the United Nations’ Sustainable Development Goal to end the disease worldwide by 2030. Politicians, health workers, journalists, celebrities and people living with HIV/Aids will be among the audience on June 8 as Sir Elton also reflects on his close friendship with Diana and their shared commitment to fighting the disease. The Tiny Dancer singer – who set up the Elton John Aids Foundation in 1992 – will follow in the footsteps of ex-UN chief Kofi Annan and former US president Bill Clinton who have delivered previous lectures in Diana’s memory. The lecture was launched by the National Aids Trust (NAT) in 1999 as a tribute to Diana, who was the first member of the royal family to have contact with a person suffering from HIV/Aids. In the late 1980s, when many still believed the disease could be contracted through casual contact, she sat on the sickbed of a man with Aids and held his hand. Publicly and privately she supported the work of those helping patients, with late-night trips to east London’s Mildmay HIV hospice, and she served as patron of the NAT. Her son Prince Harry, now known as the Duke of Sussex, announced in 2016 he would be dedicating part of his public work to raising awareness of the fight against HIV, and he was publicly tested for the virus – with a negative result. Sir Elton shared a platform with Harry during an international Aids conference in South Africa in 2016, when the pair joined a panel of young people living with HIV who discussed the issues they faced. The singer said: “I am delighted to be able to deliver this lecture and to remember the enormous contribution Diana, Princess of Wales made to this cause. “In the quarter century since the Elton John Aids Foundation was established, the global Aids fight has changed beyond recognition. Deborah Gold, chief executive of the NAT, warned 2018 is a “critical time” in the battle to beat the disease. “We have all the tools we need to beat HIV, yet we lack the level of investment or political priority necessary to use them fully,” she said.